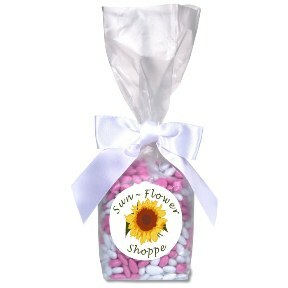 Our Candy Coated Sunflower Seeds are the perfect combination of sweet and salty, these edible delights come in a variety of colors, making it easy to complement the theme of your event or giveaway. Choose from small, individually portioned gifts pictured above, or a larger-sized Goody Bag – Chocolate Sunflower Seeds for sharing with friends. 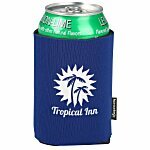 Want to leave a more lasting impression on your customers and guests? Fill our longer-lasting Snack Attack Jars – Salt Water Taffy. 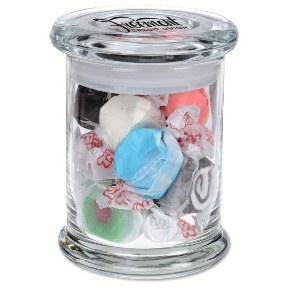 When your customers put this candy jar on their desks, your logo and message remain within reach day after day. Pre-packaged candy in a plastic serving cup makes a convenient, affordable giveaway for team events, holiday stocking stuffers or party favors. 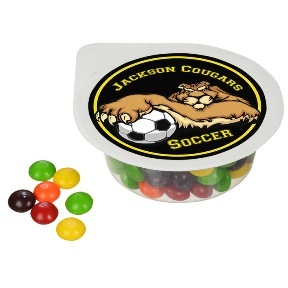 Give everyone attending your team’s end-of-season banquet a snack cup as a thank you for great teamwork. Or, stack the snack cups at an annual meeting or company picnic and you’ll see customers or employees grab and go. 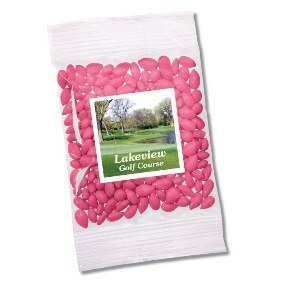 For the ultimate way to put your message in your customers’ hands, add your logo to the candy itself. 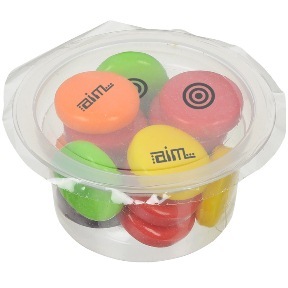 Edible ink imprints ensure your message won’t be missed. 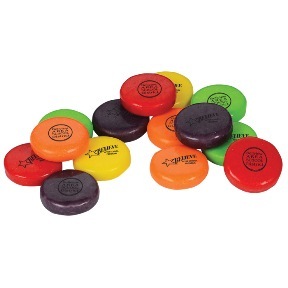 Select the perfect size for your edible giveaway from the Personalized Chewy Sprees – 1 LB. 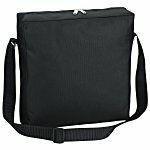 Bag, the convenient grab-and-go giveaway package like the Personalized Candy – 1 oz. – Chewy Sprees or the Personalized Candy Treat Cups – Chewy Sprees for the ultimate edible giveaway. If you prefer chocolate for your personalized candy, check out the Personalized Candy Treat Cups – Chocolate Mints. They’re the perfect giveaway for any chocolate lover. 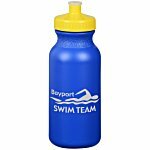 Best of all, they’re available in individually wrapped or bulk sizes, giving you the flexibility to hand out pre-packaged items, package your own or create mass displays that make a statement on their own. Throw a party that won’t soon be forgotten. From new babies to graduations to weddings, make those major milestones extra special with personalized party gifts.